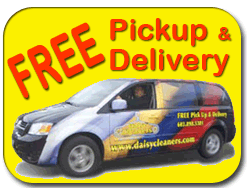 Daisy Cleaners is proud to be your local dry cleaners for over 50 years. The philosophy of Daisy Cleaners is not how many items we put out in a day but rather the finished quality of the items we produce. Our staff has a combined experience of over 100 years in the dry cleaning industry. Jim Desjardins, the owner, is a 2nd generation dry cleaner. Most of the staff has been with Daisy for ten to twenty years or more! This means that you not only get a high level of professional service but also an amazing amount of expertise. Attention to detail and dedication to excellence has served Daisy Cleaners well. Learn more about our history here! Daisy currently works with customers throughout Southern New Hampshire and Rockingham County with business coming from as far away as Maine and Connecticut. 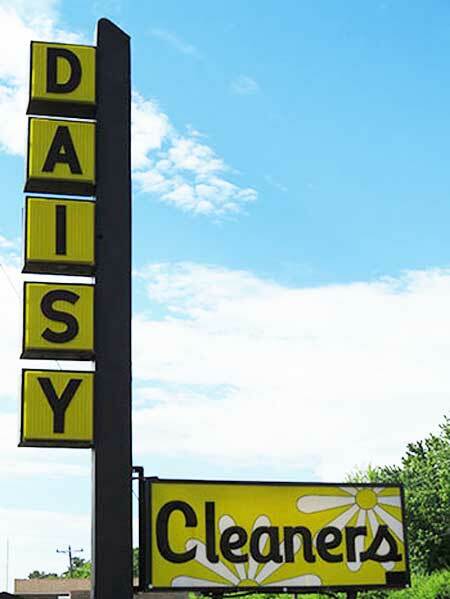 Daisy has been voted Salem, New Hampshire’s “Best of the Best” 16 years running! Daisy is always striving to provide outstanding service. There is no job too big or too small for this talented staff and with the addition of their convenient free pick-up & delivery service, Daisy can come directly to you to get the job done. Daisy Cleaners is a true green dry cleaner. What does it take to really be green in this industry? Jim Desjardins is a graduate and active member of the International Fabricare Institute. He currently sits on the board of the Northeast Fabricare Association. Jim sits on the Board of Directors for the local Salem NH Boys & Girls Club. Jim is a corporate sponsor of the Salem Animal Rescue League. 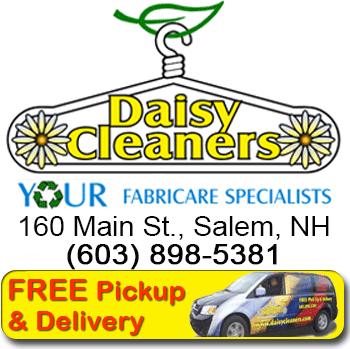 Daisy Cleaners is a member of the Greater Salem Chamber of Commerce where he is actively involved in Board and committee activities.